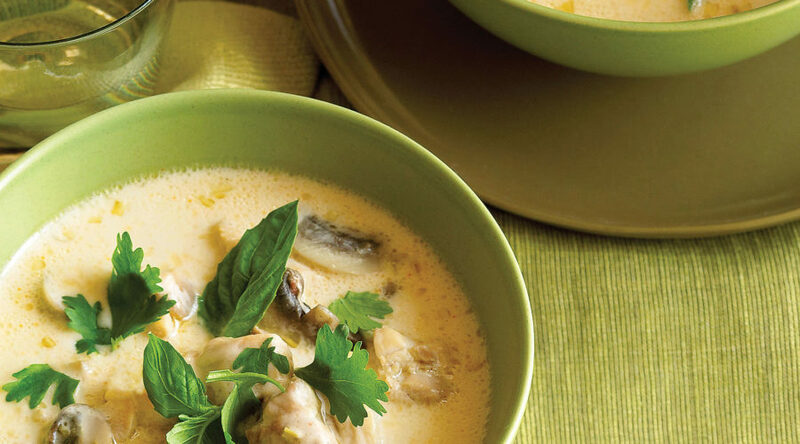 Fresh herbs and a handful of seasonings are all you need to create the memorable, spicy-tart flavors in this creamy Southeast Asian dish. 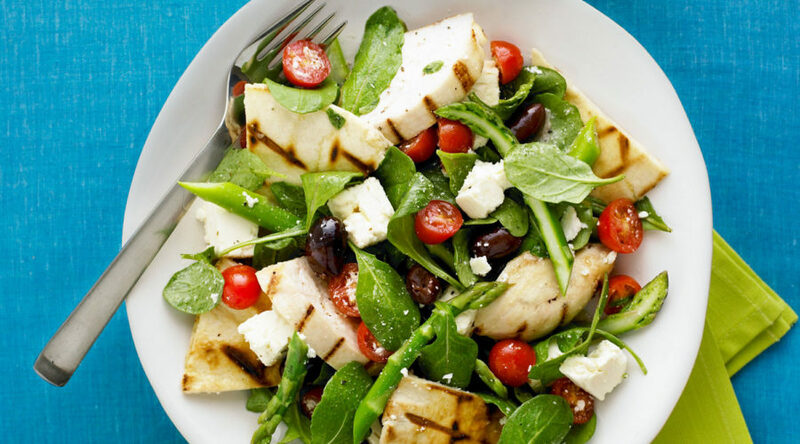 Give chicken breasts a little char, then slice and toss with salty feta and kalamata olives, fresh tomatoes and asparagus, crunchy pita chips, and a tangy lemon-fresh oregano vinaigrette. 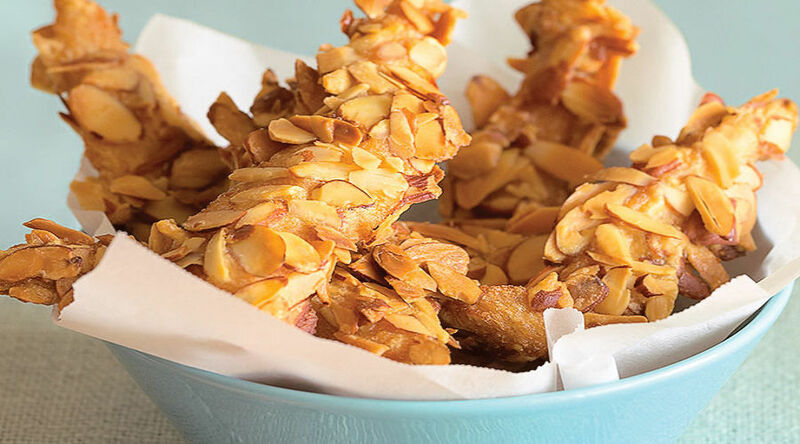 A Sunset reader gave good-old chicken fingers the deluxe treatment by coating them in a little soy sauce and cornstarch and plenty of almonds, then shallow-frying them until crunchy. 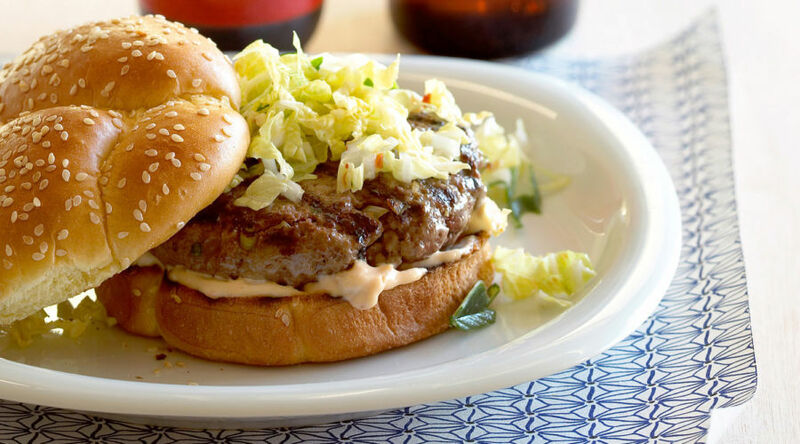 We loaded these burgers with exciting flavors, from the garlic, ginger, and sesame oil in the patties to the chili mayo and fresh napa cabbage “kimchi” relish that goes on top. If you’re in a hurry, feel free to sub in a jar of store-bought kimchi for the relish. 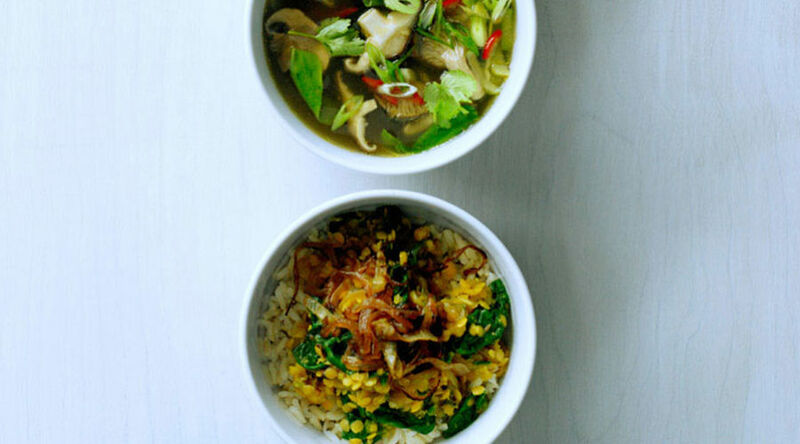 If you want to eat well, and simply, start with great ingredients. 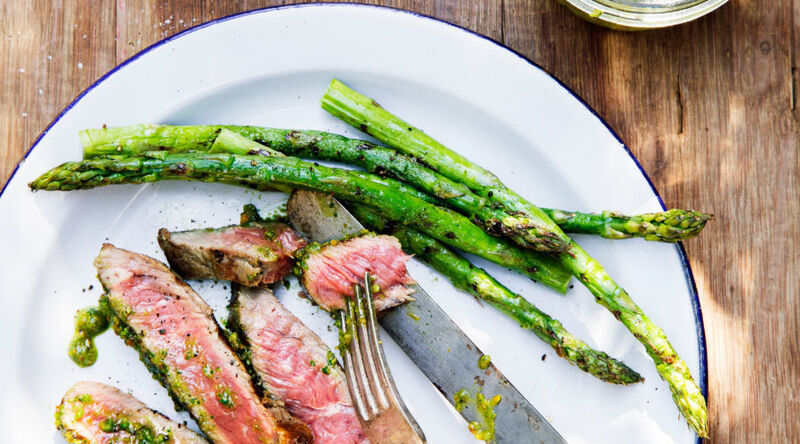 Few recipes make the point better than fat, juicy asparagus and beautifully marbled steak turned on the grill for a little smoky flavor, then dolloped generously with a roasted nut butter. 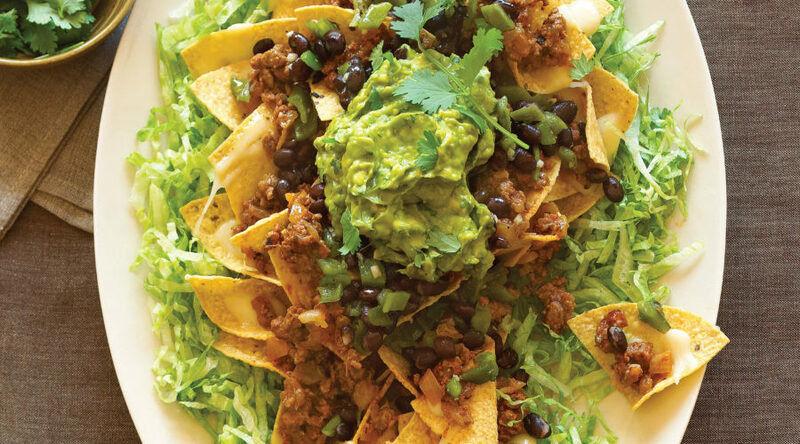 For a meal-worthy (and splurge-worthy) version of the Mexican appetizer, top chips with a meaty salsa sauce, seasoned black beans, and plenty of cheese. Bake until the cheese is nice and melty; then add shredded lettuce and a flavorful homemade guac. 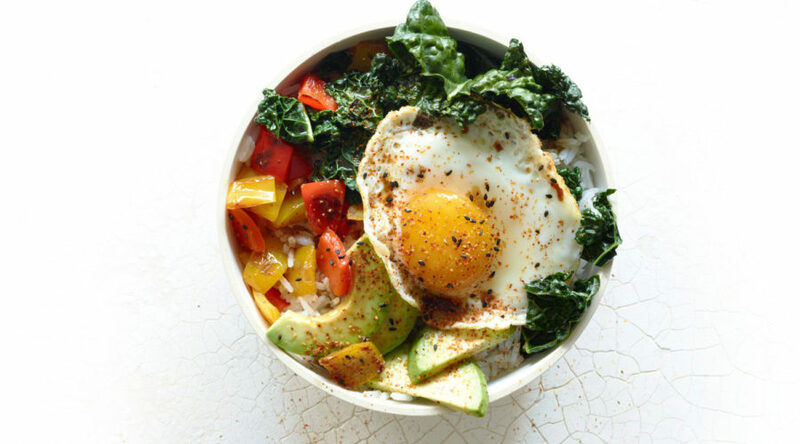 This healthy vegetarian rice-bowl meal features wilted kale, fried eggs, and avocado, jazzed up with a generous drizzle of soy sauce, sesame oil, and chili sauce. Here’s a recipe for the short list. With ingredients that come mostly from the pantry, it’s healthy, inexpensive, and vegetarian, and the exciting mix of spices never fails to please. 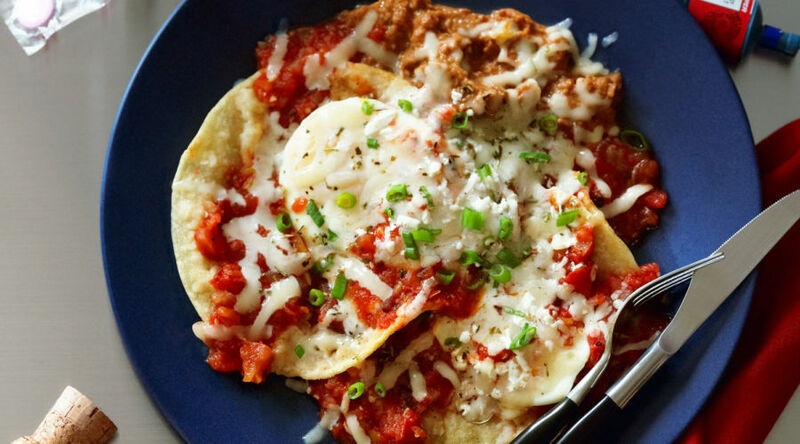 Talk about a comfort-food supper: Fried eggs and tortillas meet creamy refried beans with a shower of salty cheese, zesty green onions, and Mexican oregano. 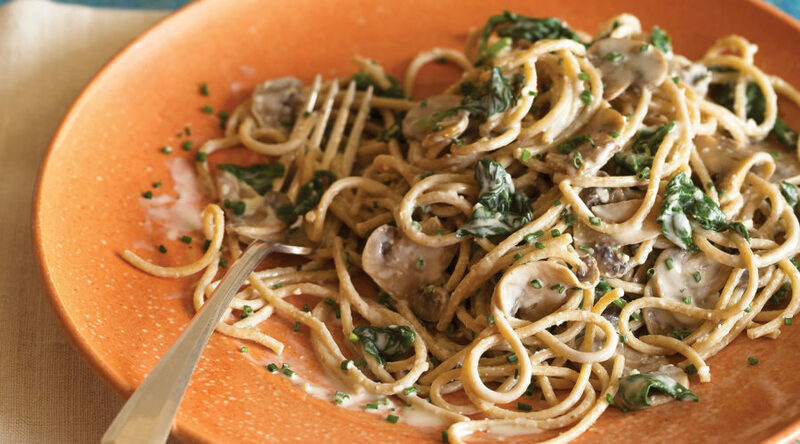 A generous hand with mushrooms makes this vegetarian dish both filling and “meaty.” Cream cheese and a little milk cooked with the mushrooms help create a clingy, velvety sauce without the need for a separate pan. With the rise in gluten-free diets, earthy, nutty-tasting kasha—a.k.a. hulled and roasted buckwheat groats—is available in lots of mainstream grocery stores. 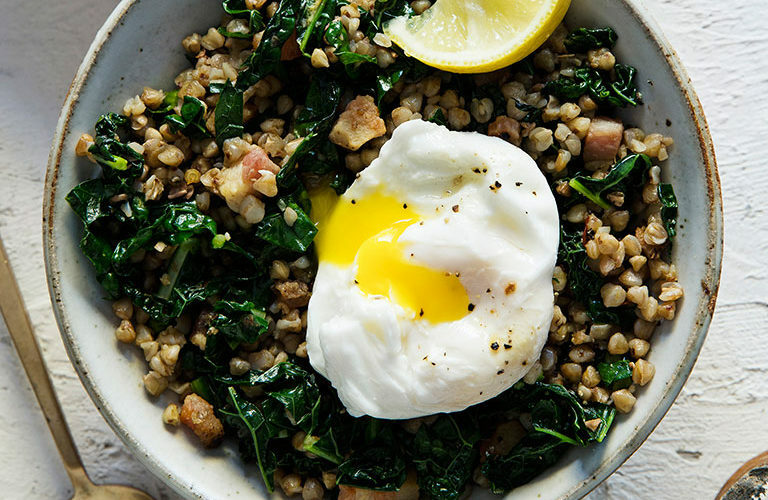 We like the whole grain tossed with browned pancetta, kale, and lemon zest, and then topped with a fried egg. Split pork chops make meaty pockets for blue cheese rolled in hazelnuts. 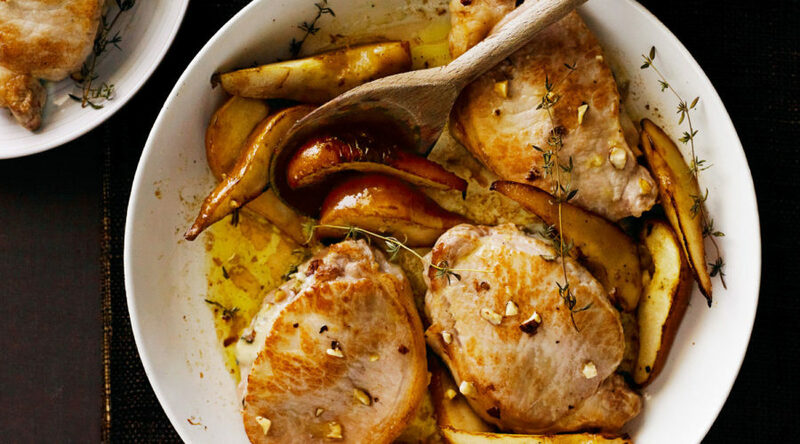 Give them a quick sear; then bake them with pears and fresh thyme. 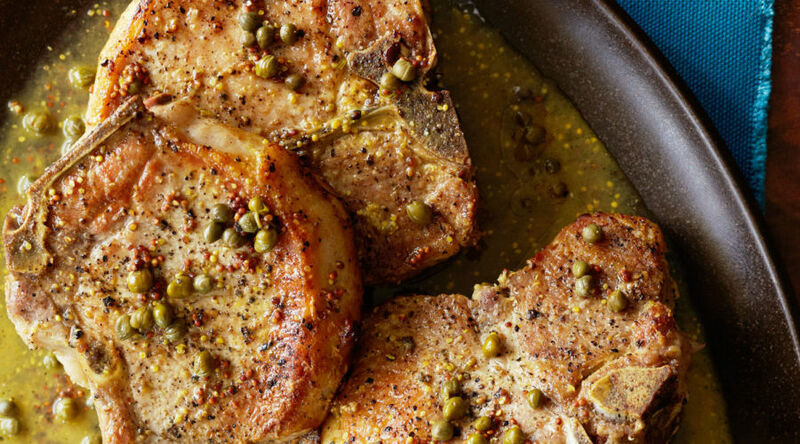 Cookbook author Joanne Weir creates a quick and satisfying sauce for browned pork chops by reducing chicken broth with briny capers and mustard. 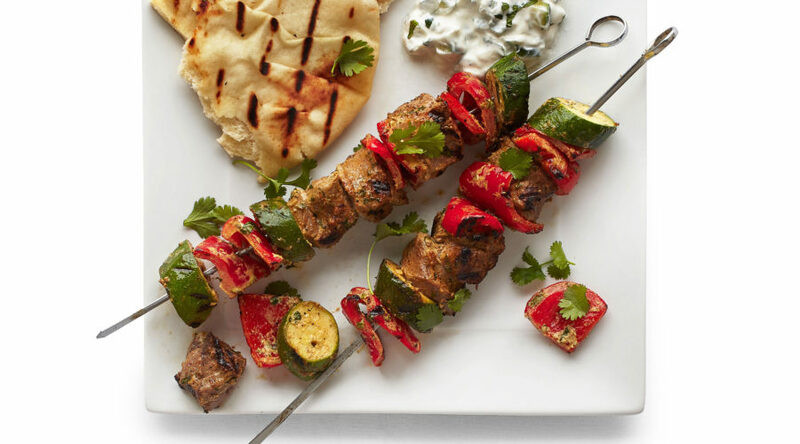 Two seasoning blends—curry powder and garam masala—add plenty of complexity to the meat and vegetables without the need to measure out a dozen spices. 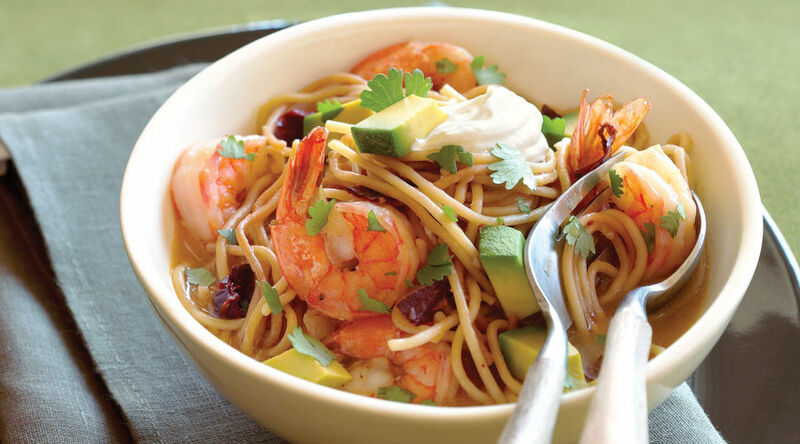 This Mexican noodle soup starts with vermicelli that’s browned in oil, then simmered with chiles and broth until tender. We added shrimp and avocado to make it filling as well as delicious. 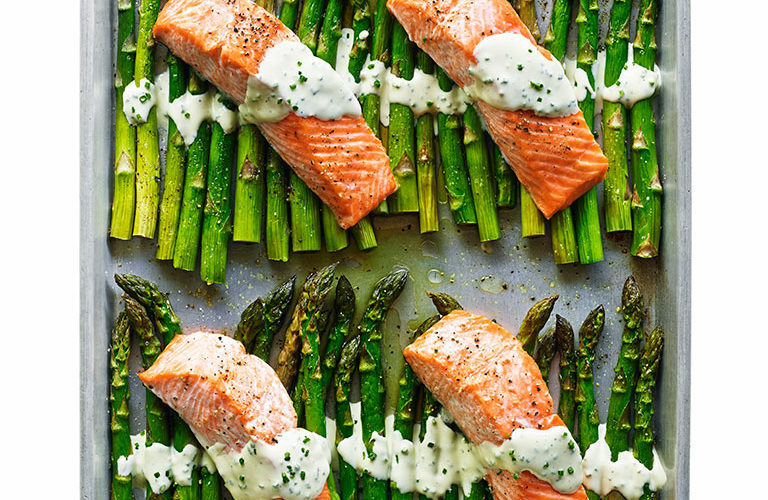 Sheet-pan suppers like this one have been all the rage for good reason: Because everything cooks together, the juices mingle, making the ingredients more flavorful--and clean-up is minimal. 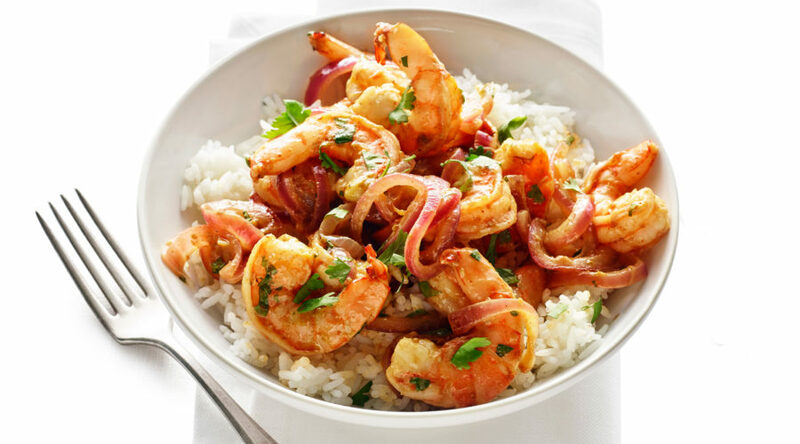 If you keep a jar of mango relish in your pantry or fridge and a bag of shrimp in the freezer, a special last-minute dinner can come together in a hurry.